2017-8 turned out to be one of the coldest winters in recent years. There was significant snow in December as Sandy Colley's photo on our January cover, taken on 9th December, showed. This was as nothing to what occurred beginning on 28th February. 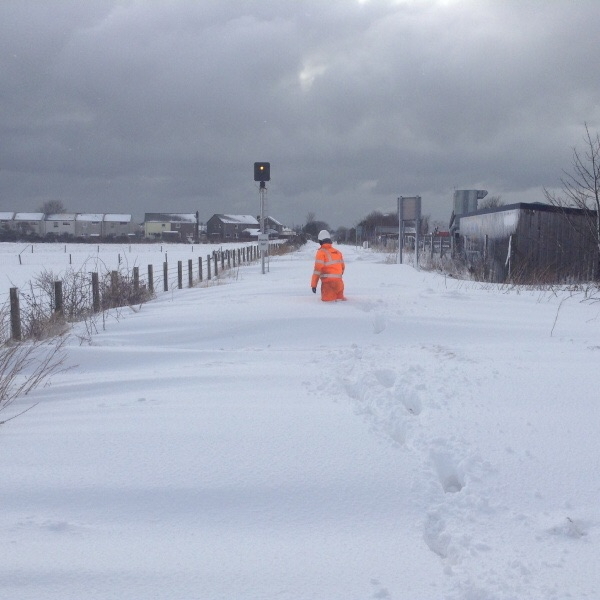 ScotRail told FNE that nearly every set of points north of Tain and south of Georgemas required to be dug out in the first days of March due to compacted ice and snow interfering with their operation. Because of deep drifts the Far North Line had to be 'line cleared', i.e. a Class 37 traversed the route, on 3rd and 4th March. Alex Sharkey of Network Rail commented that the Class 37 Loco proved its worth, with its shear weight and 'low down grunt', there wasn't much it couldn't handle. 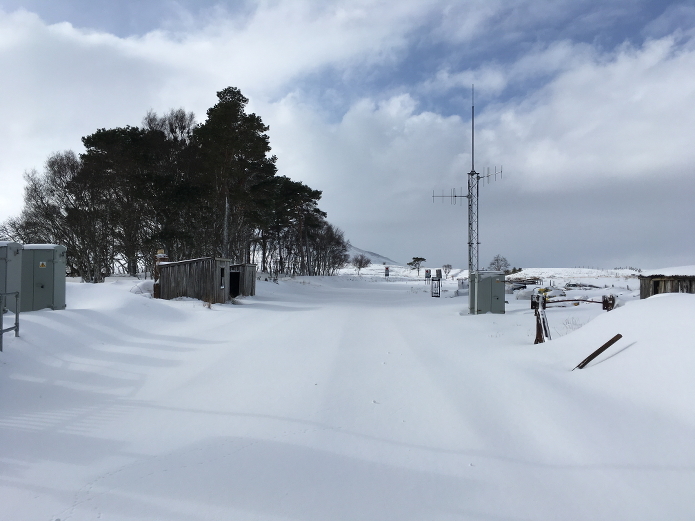 Alex told us that the deepest drifts encountered were on the West Coast Main Line where a cutting was filled continuously for 170m with the deepest drifts being 5.3m. 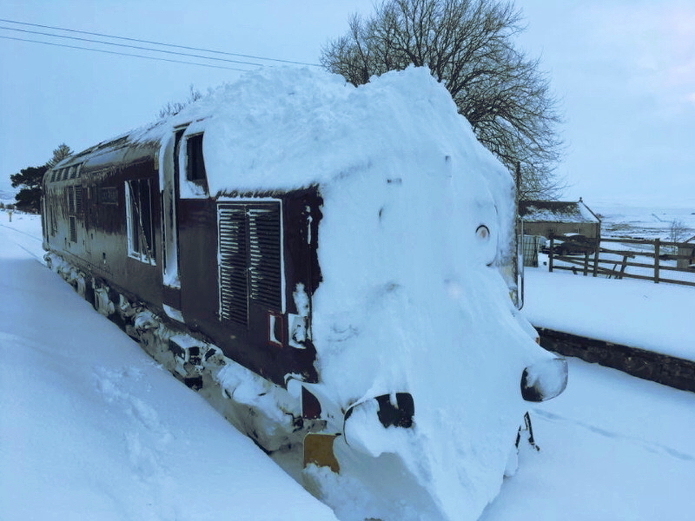 This couldn't be dealt with by blasting through with a plough as that would have risked damaging lineside equipment such as signalling cabinets, so a snow blower had to be brought in. In weather like that a heroic effort is required by NR staff going out on foot to investigate, and dig out points by hand. 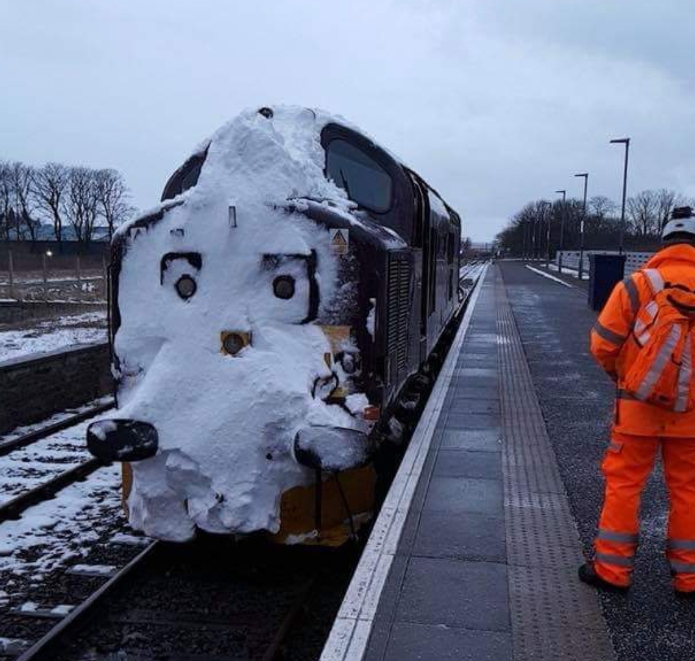 In terms of train performance ScotRail said that it sustained just one unit failure (158713) due to ice damaging an engine oil filter.